Deluxe Wooden Loft Ladder with Twin Handrails - Frame 1100 x 700mm - Floor to Ceiling Heights up to 2.8m - Free Next Working Day Delivery! 4936 products found in Attic Ladder. 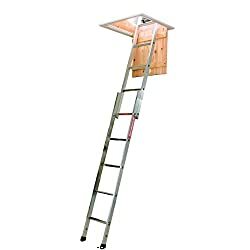 Your request for Attic Ladder revealed a total of 64936 results.